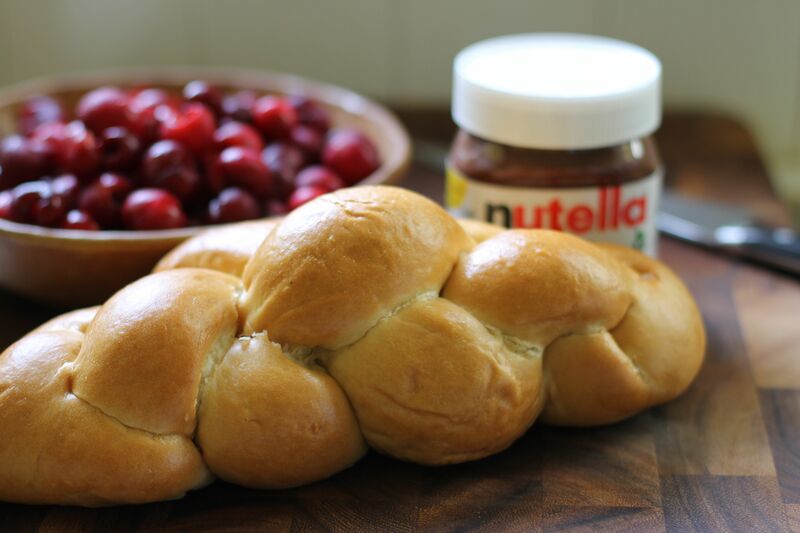 Start with fresh challah. Don’t be stingy when slicing the bread. A nice thick slice is necessary to hold all of the fruit. 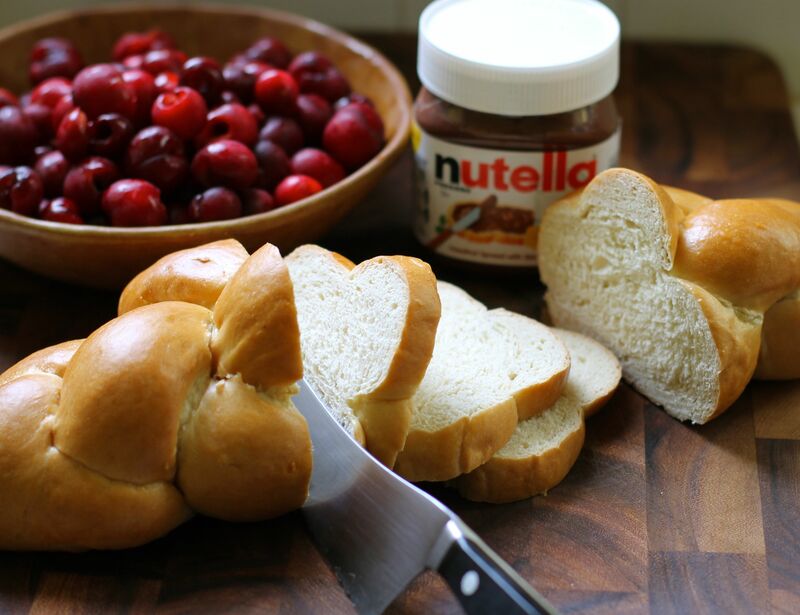 Lightly toast the challah to make it a little more sturdy, then spread generously with Nutella. 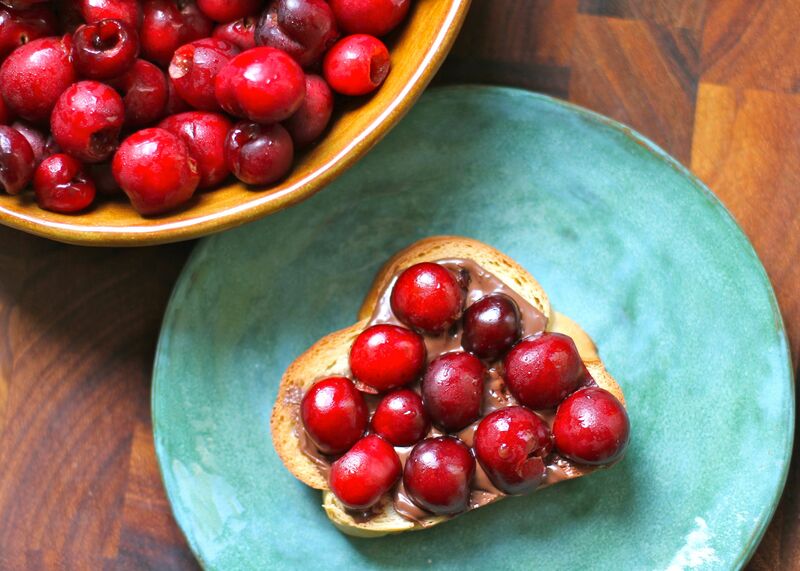 Gently cover with fresh cherries. 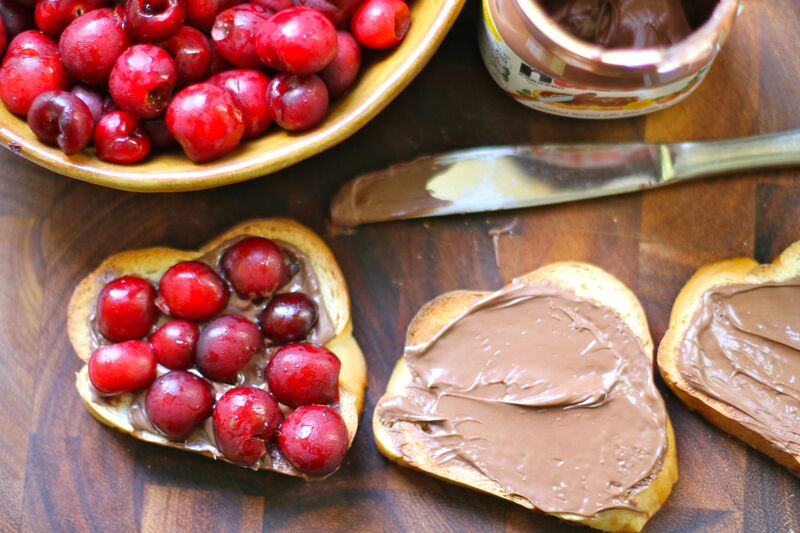 My cherries were already pitted, so I just tore them in half by hand and nestled them into the chocolatey spread. This is a very special afternoon snack, meant to be shared with friends.